This workshop, held under the Life Berlengas project - Conserving threatened habitats and species in Berlengas SPA through sustainable management, aims to present and share results among different countries about the latest solutions that are being trialled to mitigate seabird bycatch. 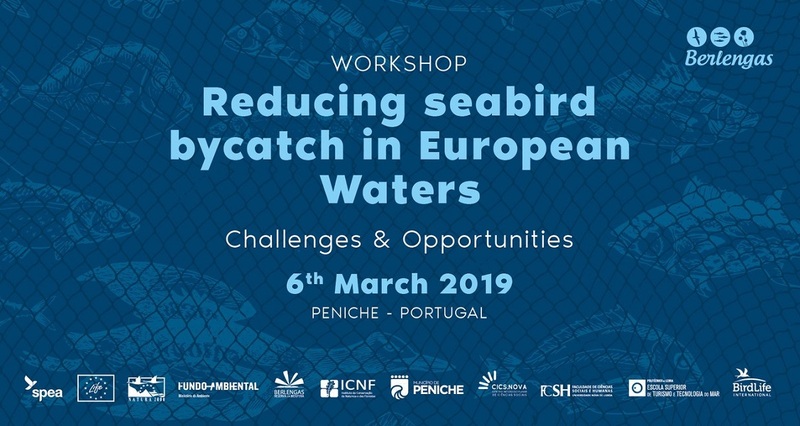 This shared knowledge and the debate between European and national authorities will guide managers, researchers and the fishing sector into the next steps to stop seabirds from being bycaught on fishing gear, in particular linking to the implementation of the EU’s seabird Plan of Action. The registration period is now closed! 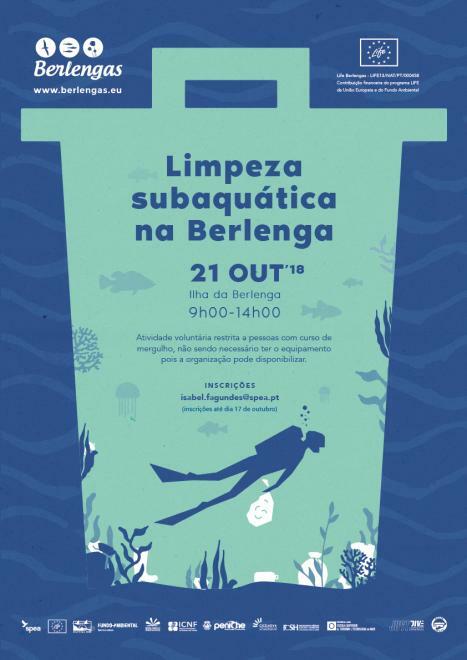 In the framework of LIFE Berlengas, SPEA and its partners, together with the diving companies JUSTDIVE and AcuaSubOeste, promote an underwater cleaning on the Berlenga Island. After the Berlengas visitation season, will we find a lot of trash in the main places frequented by the tourists? Join us and come to discover this and much more! It is an opportunity to enjoy the natural beauties of the underwater world of the Berlengas and to collaborate in the maintenance of this space. This activity will take place on October 21st, between 9 a.m. and 2 p.m. and it is restricted to people with a diving course. But if you don't have all the equipment, the organization can supply. On the scope of the final conference of the LIFE Shiant Isles Recovery Project, SPEA was invited to talk about the work in Portugal, particularly the Berlengas LIFE Project. Our presentation will be included in the session "Future otlook, other projects" and we will present the main results obtained after 4 years of LIFE Berlengas highlighting the work with invasive mammals and plant control, as well the monitoring work with seabird populations. The main programme of talks will be during the day on the 26th Sept, in Stornoway (Isles of Lewis) and there will be a day-long excursion to Harris (and hopefully also out to the Shiant Isles) on the 27th. This is a good opportunity to exchange experiences with similar projects and promote the work developed in Portugal. 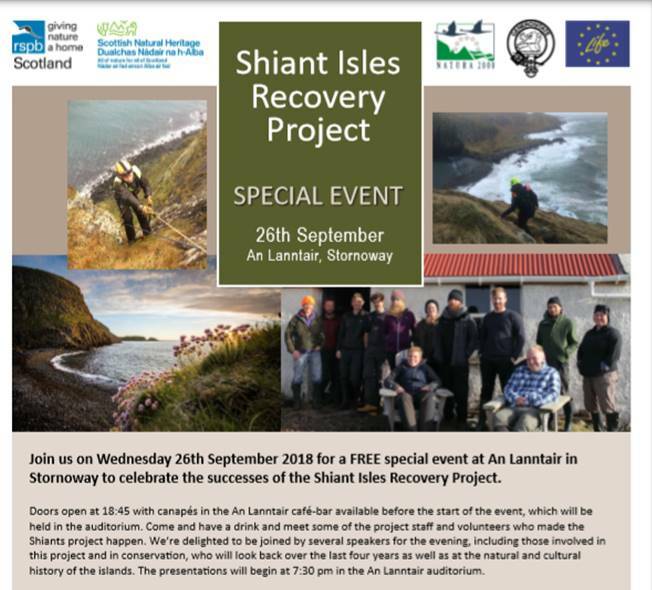 Discover more about the Shiant Isles Recovery Project here! 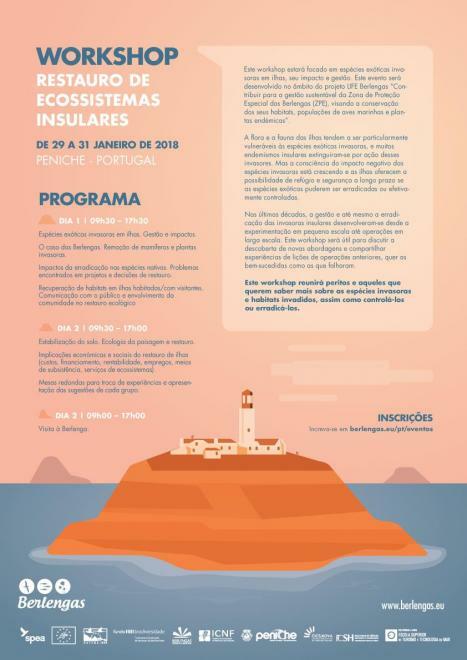 This workshop will be held at Peniche at the Escola Superior de Turismo e Tecnologia auditorium, in January 2018 from 29 to 31 and it will be focused on invasive alien species (IAS) on islands, their impact and management. Island flora and fauna tend to be particularly vulnerable to IAS, and many insular endemics have been driven to extinction by these invaders. But awareness of the damaging impact of invasive species is growing and islands offer the possibility of long-term refuge and security if alien species can be eradicated or effectively controlled. Over recent decades, the management and even eradication of island invasives have developed from small-scale experimentation to large scale operations. This workshop will be useful to discuss the discovery of new approaches and share experiences from the lessons of earlier operations, good and bad. This conference will bring together experts and those who want to know more about the invaders and invaded habitats and how to control or eradicate them. Registrations are closed and the programme is finished. We have several speakers from different countries and different communications about similar LIFE projects. Final programme of this event can be found here. The abstract book is already available. Discover here the 16 presentations. The Berlengas Special Protection Area has almost 100 000 hectares, which includes an extensive marine area and all islands and islets of Berlengas archipelago. 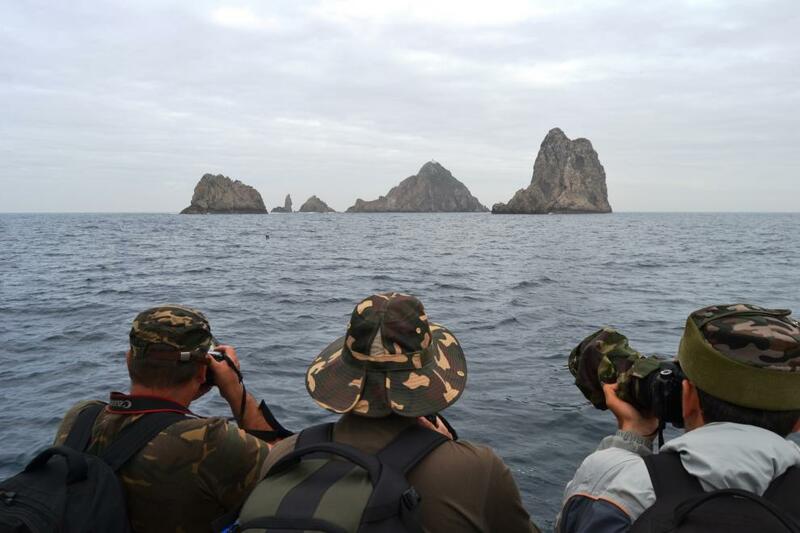 To celebrate the day of Natura 2000 network, SPEA invites all members to join us on a trip to discover land and sea, to enjoy all the natural landscapes. Besides all the marine richness this archipelago also has a unique flora that during spring fills the islands with several colours. Come with SPEA for a boat trip to Berlengas with a passage near Farilhões, stops to observe seabirds and a visit to Berlenga island where we can do a walk and visit the intervention areas of Life Berlengas. Remember that usually swallow nest outside your home? Or that swift that appears to him in the garden? 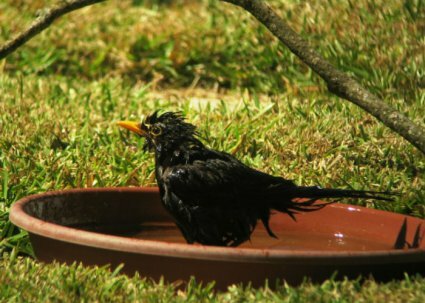 With the arrival of spring, start arriving migratory birds that give life to this time of year.